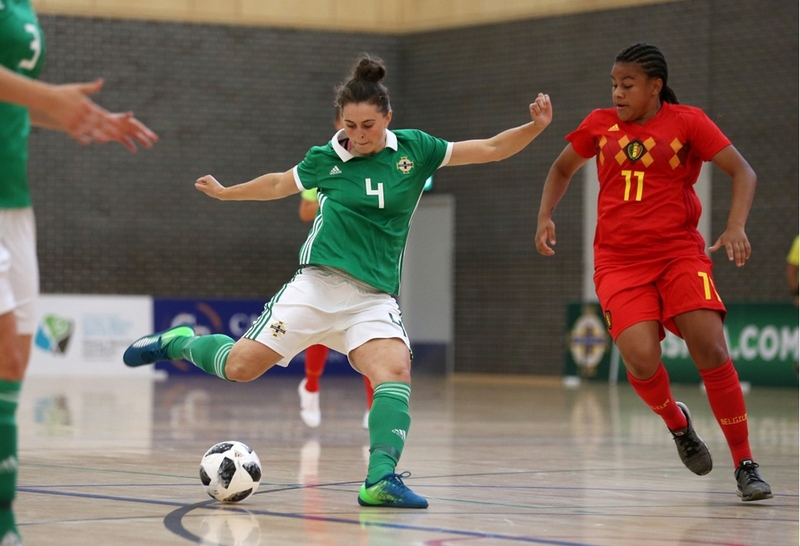 The Northern Ireland futsal squad are gearing up for two games against hosts Gibraltar this weekend, to be staged at the Tercentenary Centre on Saturday (6 April) and Sunday (7 April). Included for the first time is Mairead McCann, who earned her place after taking part in open trials back in October, while Courtney Adamson, Siobhan Bell, Hannah Firth and Hollie Johnston come in after being selected for previous training squads. Head coach Keith Gibson told irishfa.com: “The team are delighted to be playing these games against Gibraltar as the next step in the development of this squad and this sport in Northern Ireland. There are no qualifiers scheduled for the team this year, so the boss is aiming to arrange a series of friendlies to keep the squad ticking over. Goalkeepers – Alice Harkness (Manchester Futsal Club), Megan McCabe (Portadown). Defenders – Courtney Adamson (Portadown), Erin Hennitty (Comber Rec), Heather Mearns (Crusaders Strikers). Wingers – Siobhan Bell (St James’ Swifts), Olivia Brown (Comber Rec), Hannah Firth (Ballymena United All Stars), Mairead McCann (Crusaders Strikers), Beth McKay (Spartans), Megan Weatherall (Cliftonville). Forwards – Amber Dempster (Cliftonville), Hollie Johnston (Carnmoney), Rachel McConnell (Cliftonville).